What do maple syrup, apples, cinnamon and Bourbon have in common? 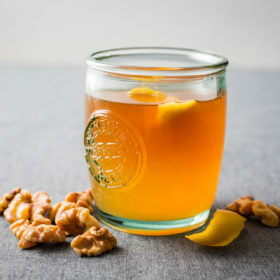 They all make this delicious update to the classic Hot Toddy your new winter cocktail. Maple syrup, baked apples and cinnamon? No, this isn’t a recipe for brunch pancakes, but a warm Bourbon cocktail for those looking to upgrade their classic Hot Toddy (though it might not be bad idea for brunch either). A touch of amaro helps temper the sweetness of this drink with an herbal punch, with apple bitters ensuring balance between the ingredients. 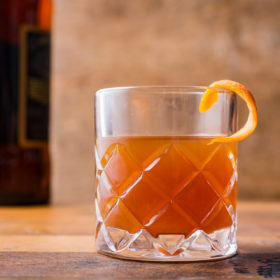 If apple bitters prove difficult to find, standard Angostura can be substituted in a pinch. Combine all ingredients except garnish in a heat-proof glass. Stir well, and garnish with cinnamon stick.